I have a feeling there's going to be a lot to say about what the WSL (also known as UoW, Ubuntu on Windows) can and cannot do. So on the day of its release to the Insider fast ring (April 6, 2016), we're starting this page. 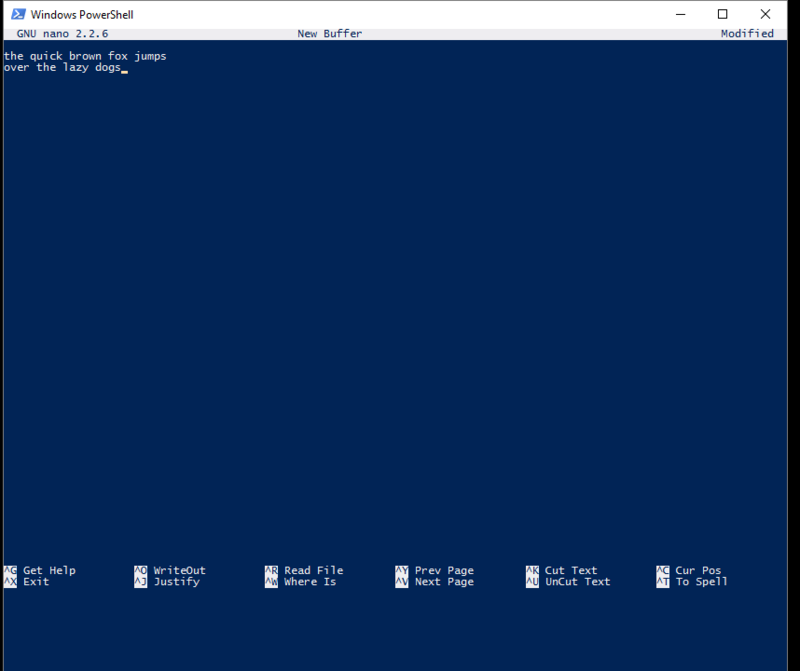 Build 14316 is the first public build to let you run it. 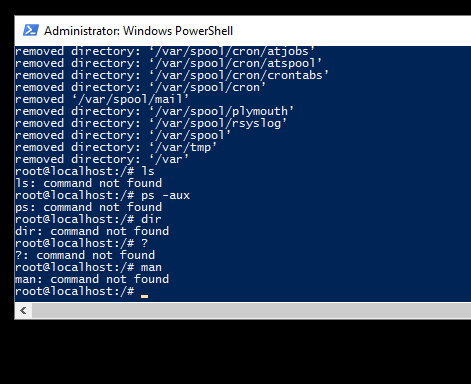 It starts from within command or PowerShell terminals. It started as user feedback! 18 minute video explaining the basics. Why, how, what. 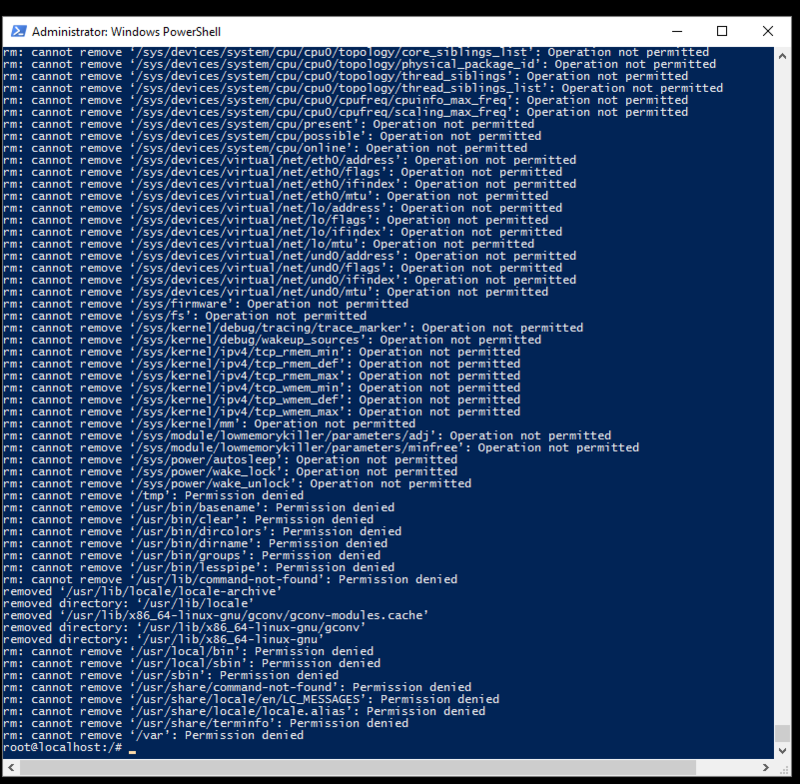 Canonical's Dustin Kirkland writes about WSL. 29 minute video. Hanselman discusses WSL with some of the folks who made it. WSL blog currently contains one article detailing some history and architecture. More articles are promised. 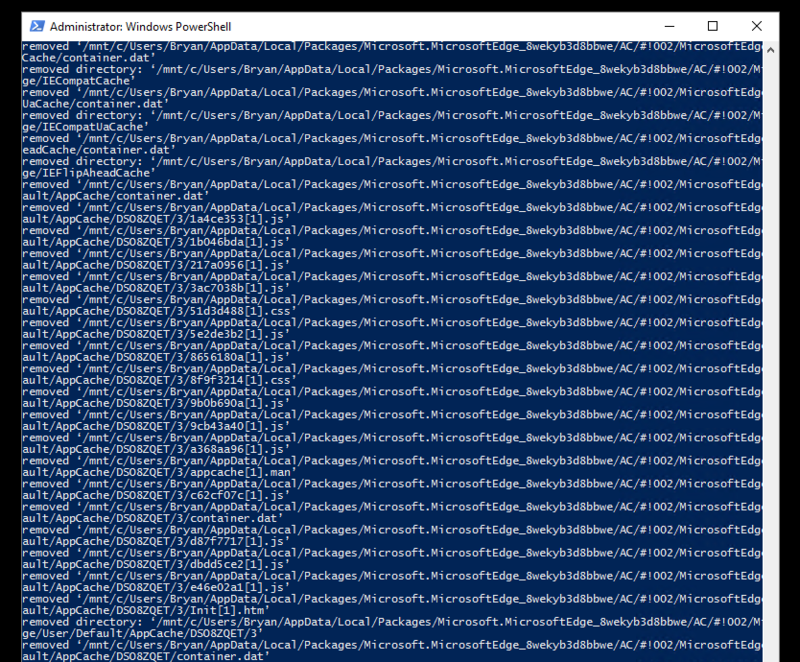 When I start a process in WSL - what do I see in Windows? Display man pages? Yes ..enter, spacebar, and q keys worked as I expected. List processes? Yes. Not much there! Ping an ipv4 address? No. ssh to another host? Yes. Portscan another machine with nmap? No. 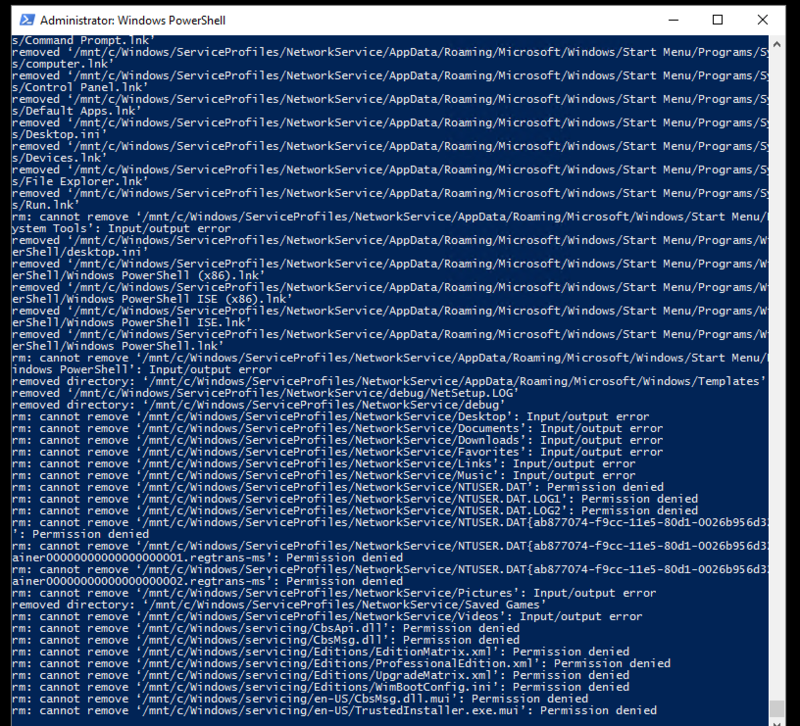 Change windows file permissions with chmod? No. It was like the chmod command did nothing at all. 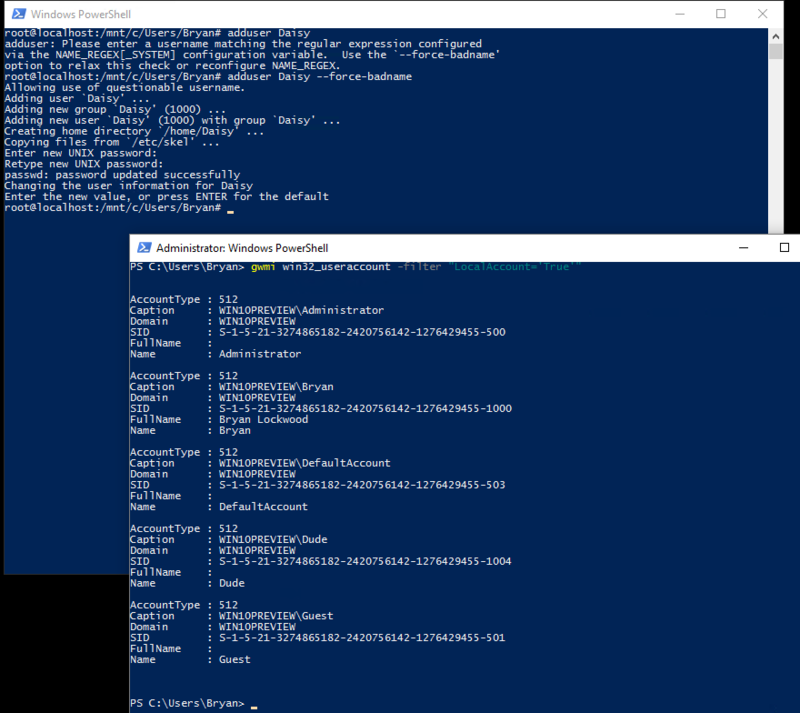 Permissions didn't change within WSL or when viewed by file explorer. 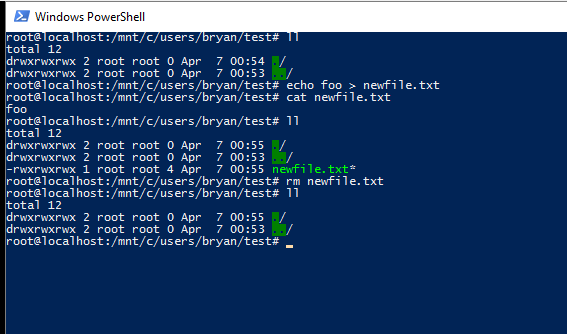 Change file ownership with chown? No. rm -rfv /* ... Yes. 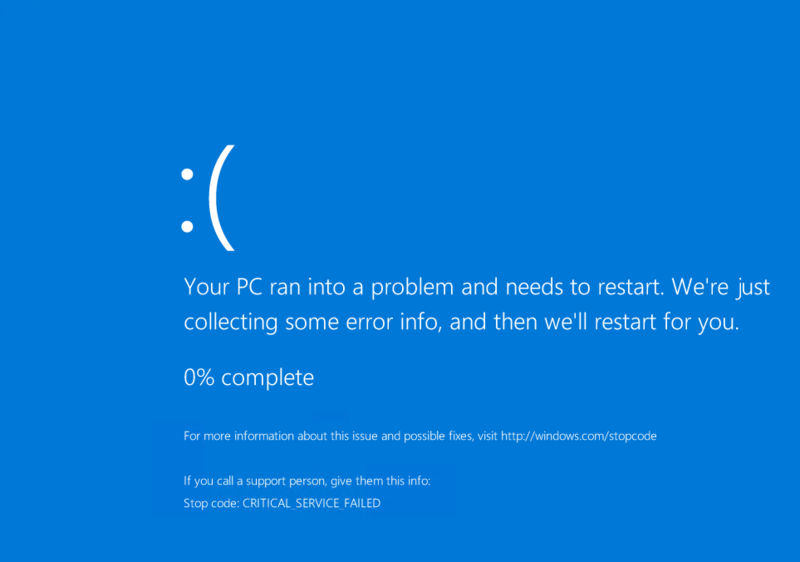 After which WSL was totally busted; Windows was fine. 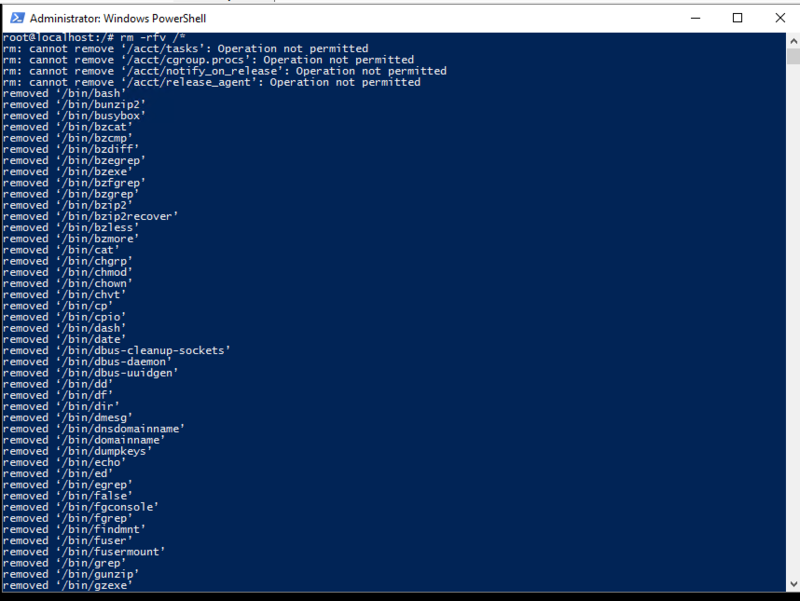 Note that WSL was root, running in an elevated PowerShell. 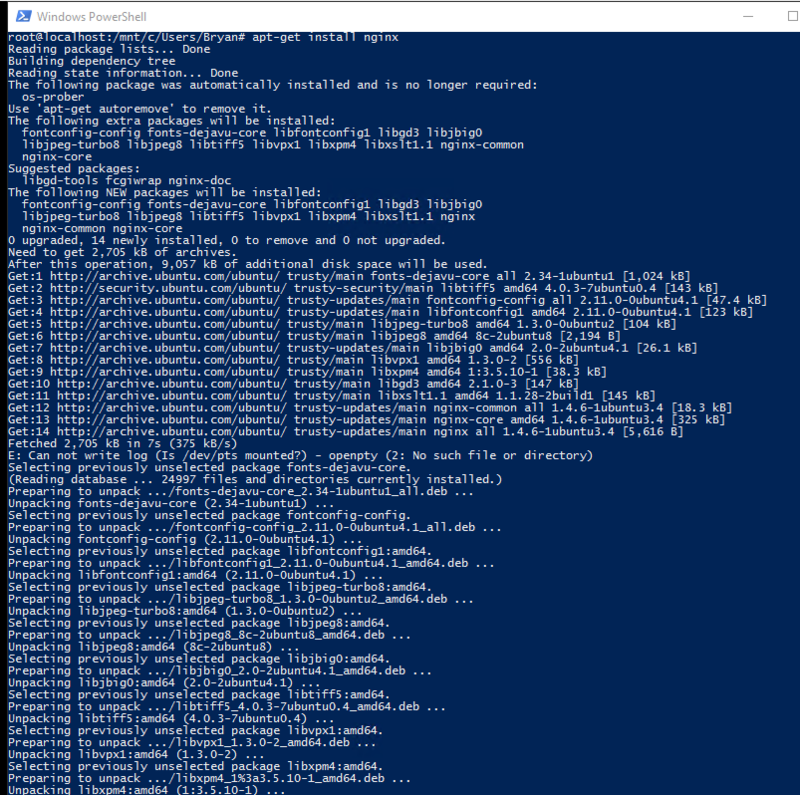 I rebooted Windows, which worked fine, and re-ran WSL, which did not work at all. failing to remove some imoprtant stuff ..
and finally finishing with some other failures. After which Windows got stuck in a boot fail loop. 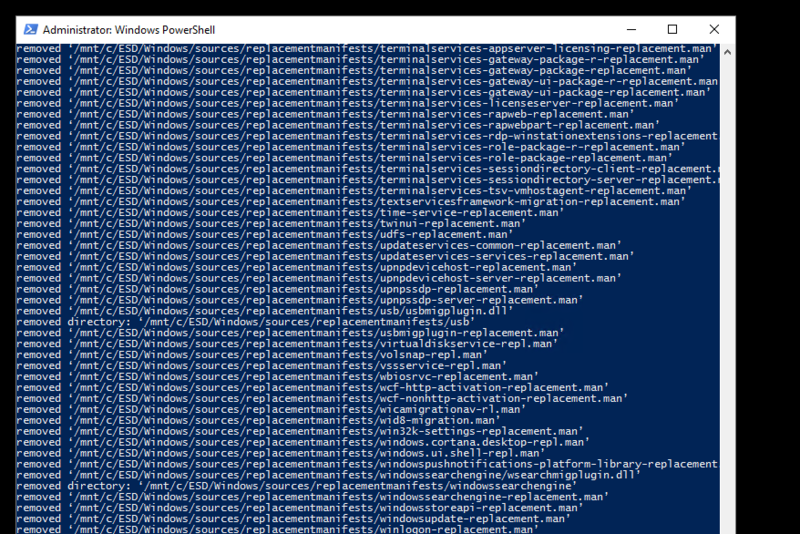 Do an lxrun /uninstall followed by lxrun /install in cmd or powershell. "So maybe something like a Linux emulator?" Now you're getting warmer! 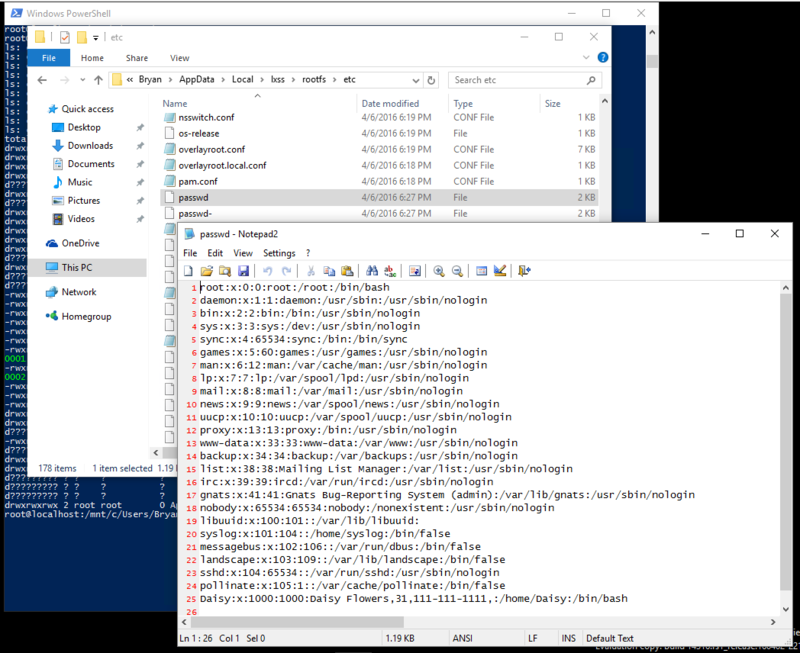 A team of sharp developers at Microsoft has been hard at work adapting some Microsoft research technology to basically perform real time translation of Linux syscalls into Windows OS syscalls. Linux geeks can think of it sort of the inverse of "wine" -- Ubuntu binaries running natively in Windows. 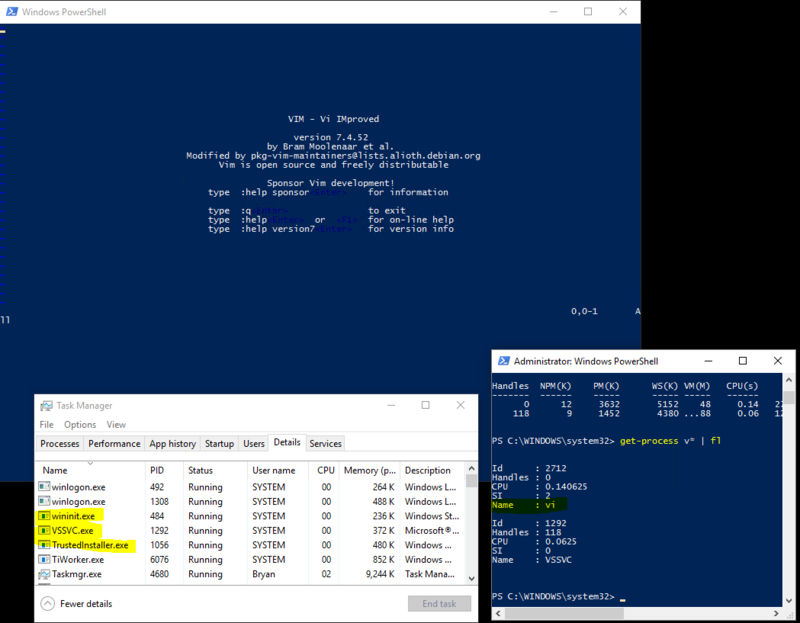 Microsoft calls it their "Windows Subsystem for Linux".